Modern day advancements in aesthetic based treatments have allowed non-invasive skin rejuvenation procedures to roll back years off someones face. There are many specific conditions to address when talking about skin rejuvenation. Not just skin on the face but also throughout the body can benefit from skin rejuvenation procedures. Some skin conditions that can improve with a wide variety of treatments are large pores, wrinkles, stretch markets, uneven skin tones, fine lines, saggy facial skin and acne. Some times someone is predisposed to some of these conditions and other times there are outside factors which can impact some of these conditions. Some of these outside factors are increase sun exposure, diet, and smoking. Living a healthy lifestyle can improve the health of your skin and extend a youthful looking appearance. 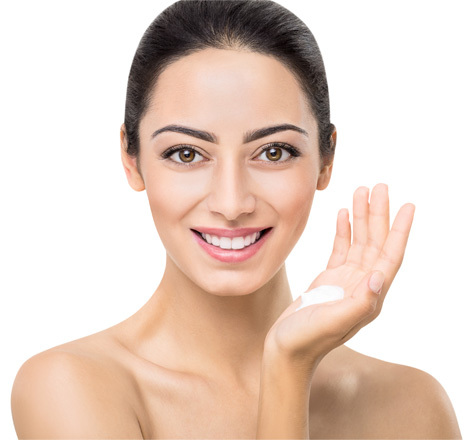 There are many different treatment approaches one can take to improve their skin health from taking vitamins, facial masks, microdermabrasion, chemical peels, and lastly laser skin treatments. Laser skin treatments can dramatically improve a youthful appearance by knocking years off! We can categorize laser skin treatments in 2 categories aggressive (ablative) and non-aggressive (non-ablative). The definition of ablative is removal or excision and is considered an aggressive treatment. All lasers absorb 3 components in the skin which are oxyhemoglobin, water, and melanin. When a laser absorbs more water it is classified as having more ablative properties because water is going to be the first component it absorbs within the skin. 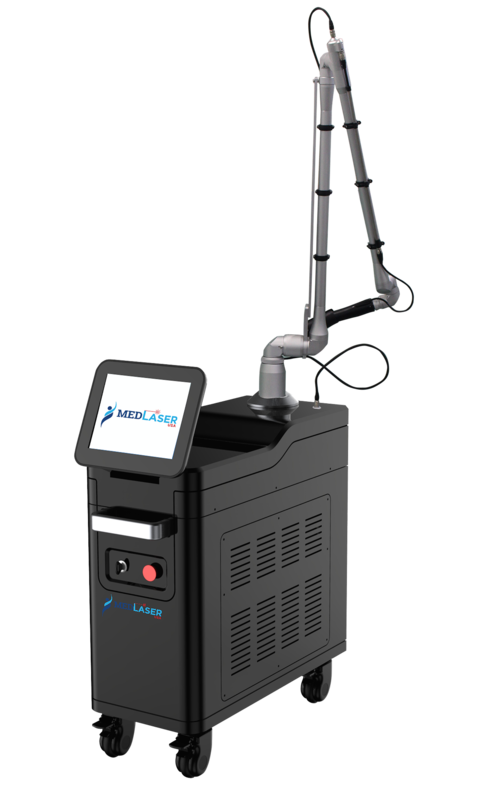 A gentle skin rejuvenation laser is the long pulse 1604 nm Nd:Yag laser component of the Dual Accento Laser system. 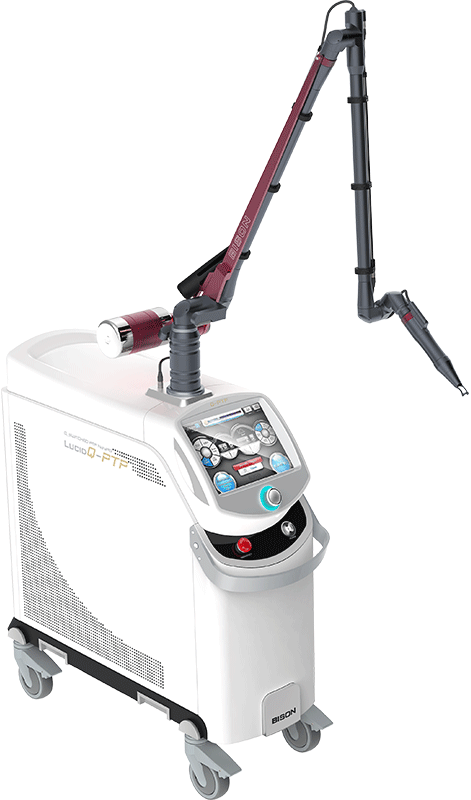 A Co2 laser has extremely high absorption of melanin and is the perfect surgical tool with full ablative properties. A Co2 laser is the perfect laser for full facial resurfacing which is an aggressive approach with dramatic results. When a Co2 resurfacing procedure is completed there can be some scabbing and some downtime associated with the procedure. Some times patients do not want any down time and are willing to forego repeated treatments to achieve great results. 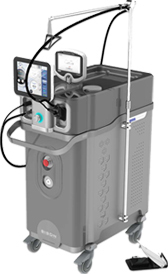 The Lucid Q PTP 1064nm Nd:Yag laser is a great option for great results with minimal downtime. Common treatments with a 1064nm Nd:Yag system are classified at genesis toning, light peeling, and carbon peeling which is the latest advancement in non-ablative skin rejuvenation. Lastly, another great option for skin rejuvenation is the MedPulse IPL intense pulse light machine which treats photo-facials, pigmentation, vascular conditions, and tightening skin. It provides amazing results but IPL is not a true laser and is filtered light. It is a great device to treat a wide range of skin issues when discussing skin rejuvenation. It is also a perfect device for a clinic just starting out as it can perform hair removal, vascular conditions, pigmentation, acne, and photo-facials also called skin rejuvenation. 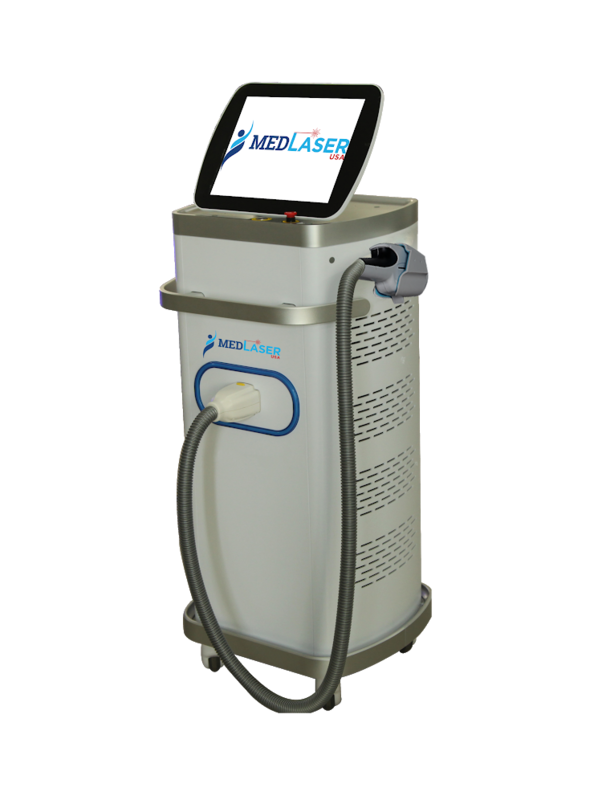 MedLaser USA has a wide range of devices which can address all of these conditions. Please see our related products for skin rejuvenation.